In this DVD, master modeler Kathy Millatt demonstrates how easy it is to get high-quality results with off-the-shelf products and details you can make yourself. 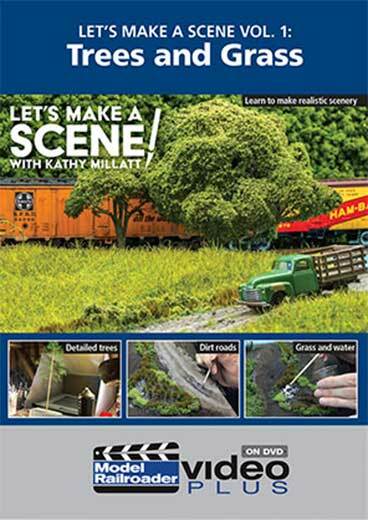 This collection of 8 videos from her Let�s Make a Scene series on MR Video plus will teach you how to make background hills, assorted trees, bushes, and grassy places for your model railroad. Every minute is packed with great tips and techniques that will help you take your scenery work to the next level.